The Rebel Sweetheart. 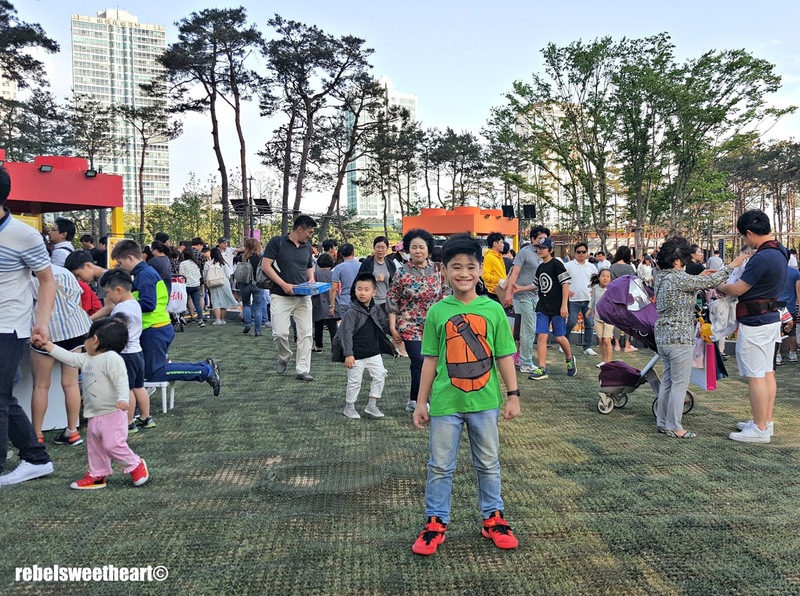 : Seoul Searching | Children's Day at Lotte World Mall. Seoul Searching | Children's Day at Lotte World Mall. 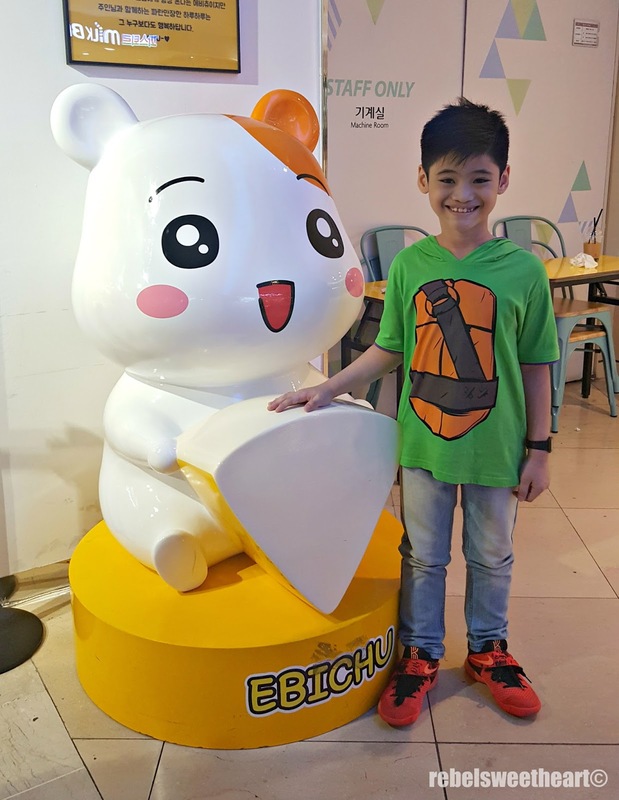 Children's Day may have long been over, but this will always be Yue's favorite Korean holiday. After all, he has been part of this occasion for two years running. In Korea and Japan, Children's Day is celebrated every 5th of May. Parents often give presents to their children, as well as spend quality time with them. More often than not, the children are taken on excursions to zoos, museums, parks, and other venues with kid-friendly entertainment. Last year, I took Yue to Seoul Forest, where he fed deer by hand, went bird-watching, and enjoyed the beauty of nature as we strolled around. This year, we chose to go to the Lotte World Mall because we heard there'd be lots of fun activities on Children's Day. And true enough, there was already a great buzz happening when we arrived at the place. 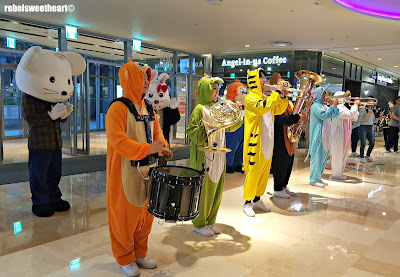 Kids were crowding around the mascots that made a surprise appearance at the Lotte Department Store! 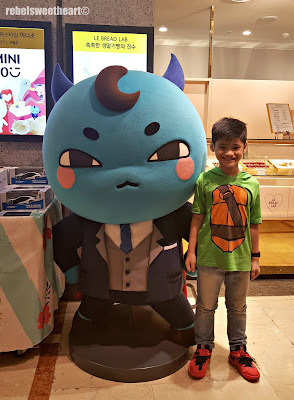 Miniso mascot, and the Miniso pop-up store at the first floor. 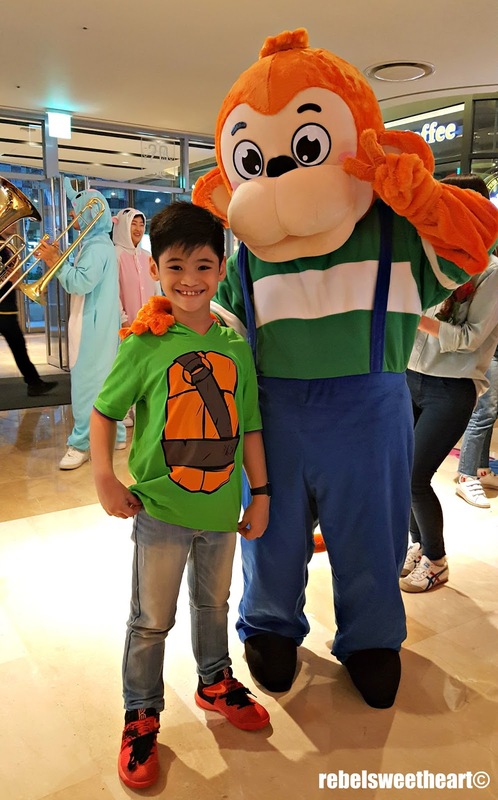 More Children's Day photos after the jump! 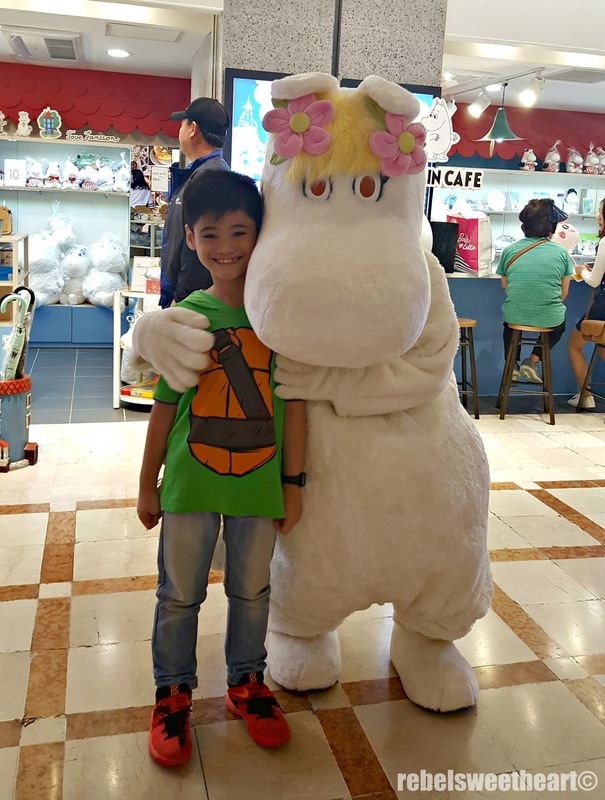 Yue did not miss the chance to take photos with the mascots, especially Snorkmaiden and Moomintroll, whom we are huge fans of. After the photo op, Snorkmaiden ushered us towards the Moomin Shop, where some of the toys and collectibles were on sale. 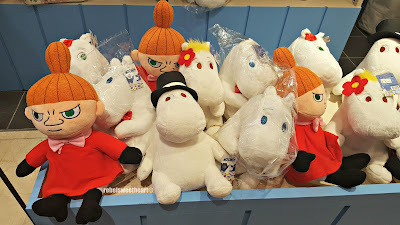 The plushies were on sale at just 8000 won if I remember correctly, and I told Yue he can get anything from the pile. He chose Moomintroll, of course! 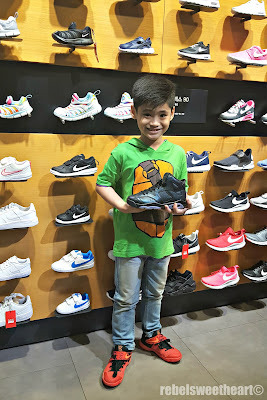 We then continued our mini-shopping spree at Uniqlo, where we bought UTs, and at the Nike store to check out the latest Jordans and Kyries. 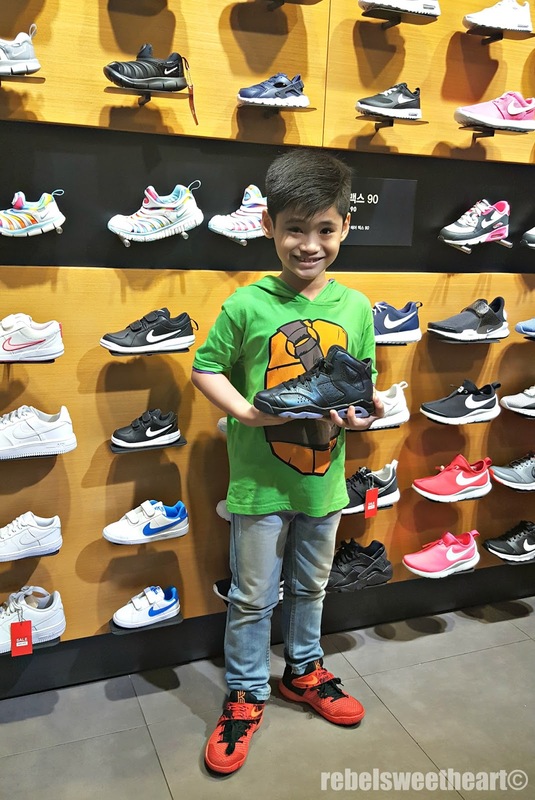 Too bad they didn't have the Kyrie 3 pair that I wanted! 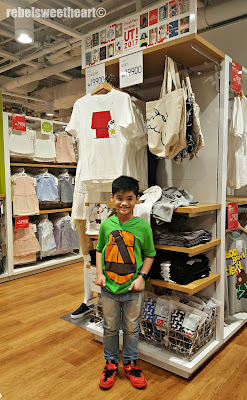 Uniqlo - always the place to go, even in South Korea. Haha! 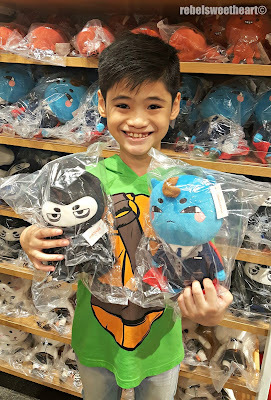 Then we headed over to the Miniso at the third floor, where we bought a few items - including these BoniCrew plushies. They weren't available at this particular Miniso store when we visited last winter during the height of Goblin's popularity, so I was more than thrilled to see all five characters - Mr. Buckwheat, Grim Reaper, Dokkaebi, Tricat, and Poipot - in-store, waiting to be purchased. 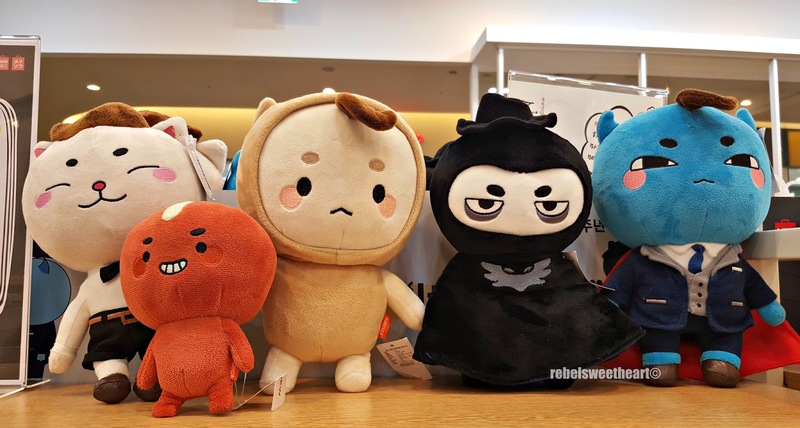 From L-R: Tricat, Poipot, Mr. Buckwheat, Grim Reaper, Dokkaebi. Yue checking out the RCs. 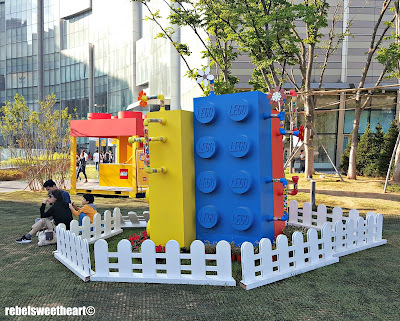 Satisfied with our purchases, Yue and I made our way to the nearby Lotte World Tower, the 123-floor building which officially opened a month before our spring trip to South Korea. We were hoping to visit the Observation Deck and get a majestic view of Seoul, but alas, there was a long and winding queue at the super-speed elevator heading up to Seoul Sky. Yue knows I hate waiting in line, so he suggested we go to the park in front of the tower because he saw a lot of kids heading that way. 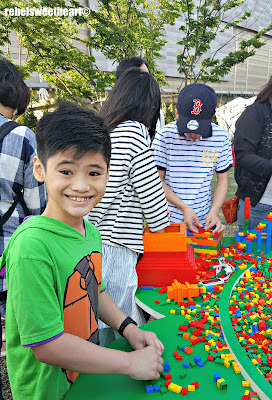 Turns out, there's a Lego Festival, and Yue was beyond the moon when he saw the life-size Lego creations displayed all over the park. The festival also featured activity areas, where kids can play with bricks and display their Lego creations. More than four million Lego parts were made available to visitors during the festival, and kids and even kids-at-heart can build to their hearts' content. Some of the creations displayed at the park. We stayed at the activity area for about an hour or so. Yue did not want to leave without finishing his own version of the Lotte World Tower, haha! 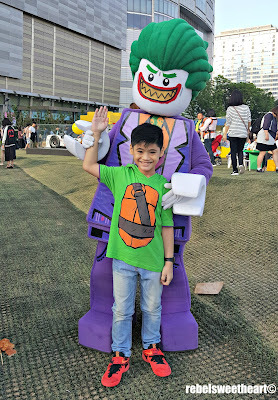 It was a good thing we stayed at the park long enough to catch Lego Batman and Joker doing rounds at the festival. Yue had his photo taken with them, of course! 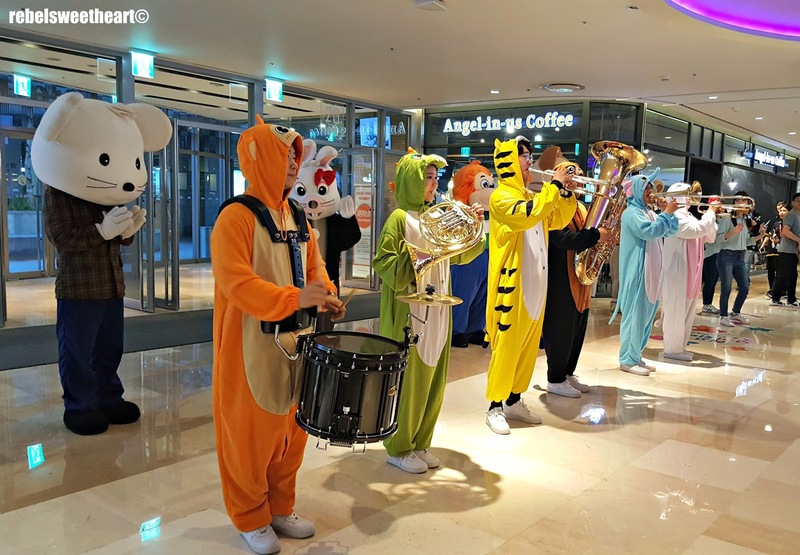 As we made our way back to Jamsil Station, we chanced upon these musicians and mascots parading around the department store. They stopped near the Avenue L exit (or entrance, lol) for a performance, and for photo ops with the kids. 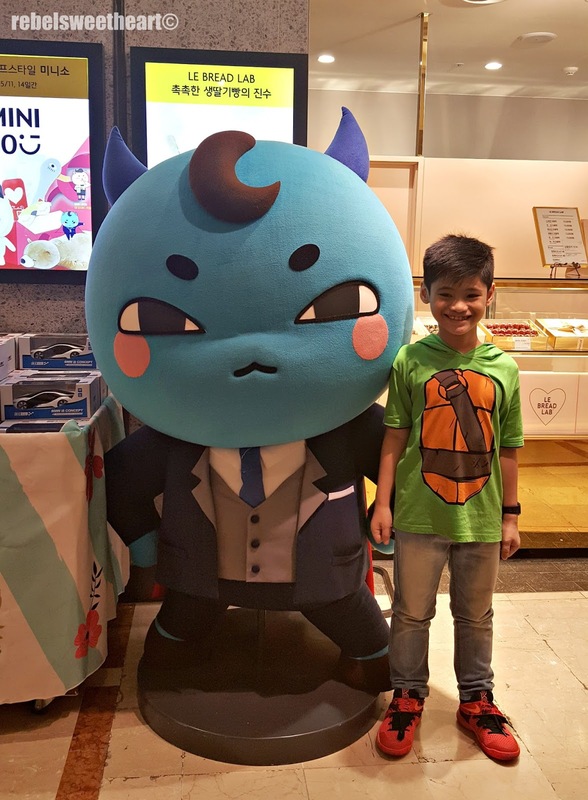 Yue made his way through the crowd so he could get closer to the mascots for his own photo op. Because there's no such thing as taking too many pictures, haha! 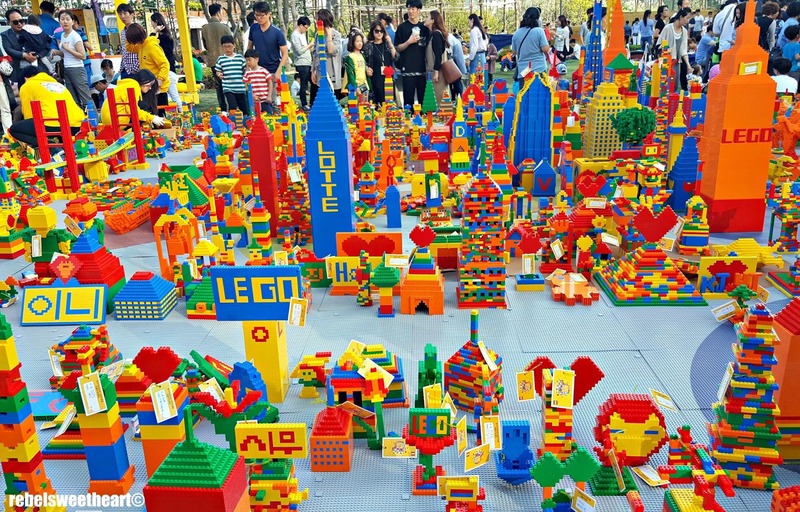 That LEGO festival sounds awesome! I've successfully turned my nephew into a LEGO geek, and he would have had a blast checking out all the displays, like the motorcycle. :) Who wouldn't want a chance to sit on a LEGO creation? Getting to see all of those mascots must have been a blast too! I hadn't heard of Moomin before, but I want to find the books for Kit now. Thanks for the info! Oh my goodness! This is seriously the best place! I love the Lego surprise as well! 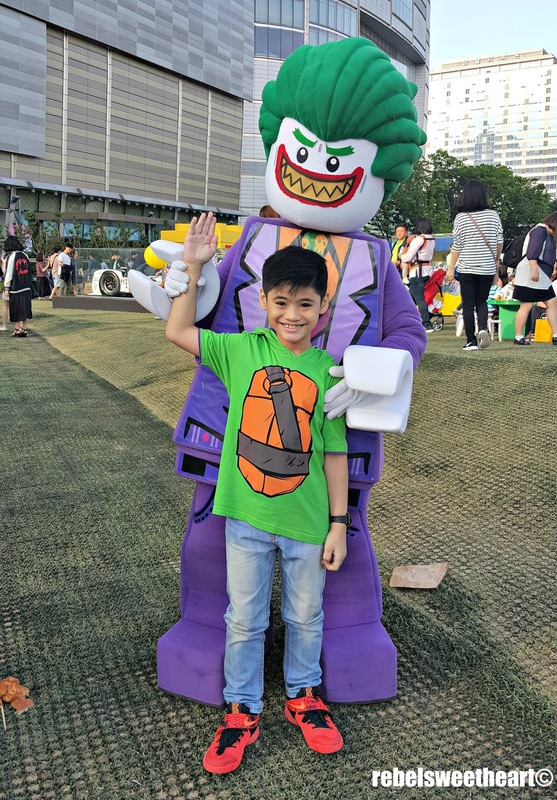 I bet your little guy had such a great time! How fun! I'm not a child, but would've really enjoyed this. They say happiness is like living through the eyes of a child. 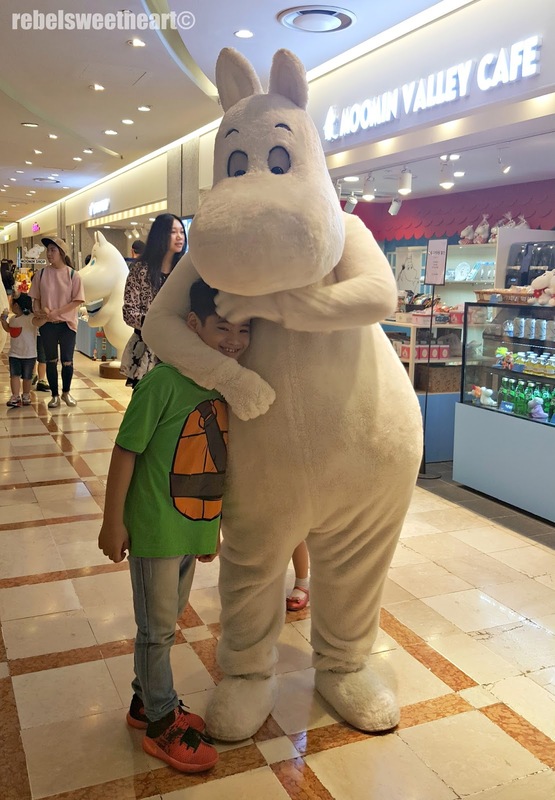 I've never been in Korea but I will saved this mall, those photos are amazing and he look had fun! 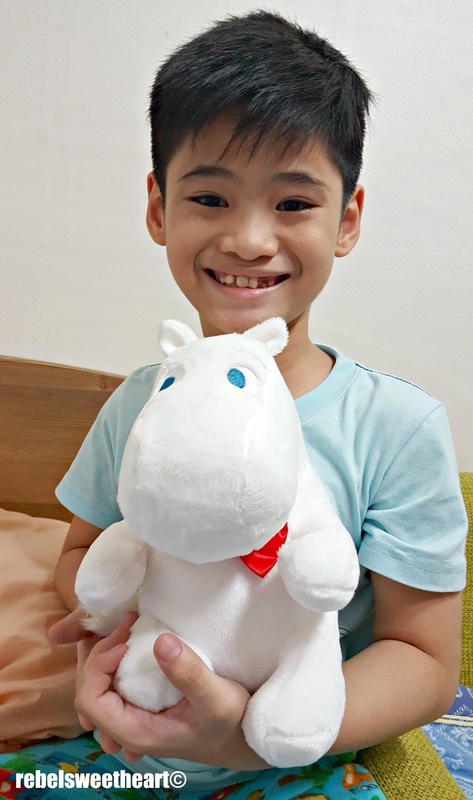 Yue is such a lucky kid to enjoy those things. 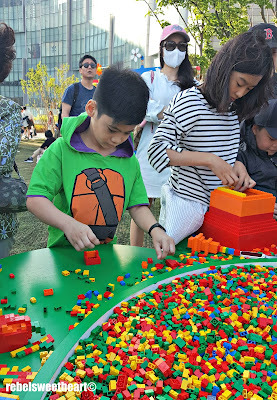 I especially liked the lego festival where Yue can participate in building legos. 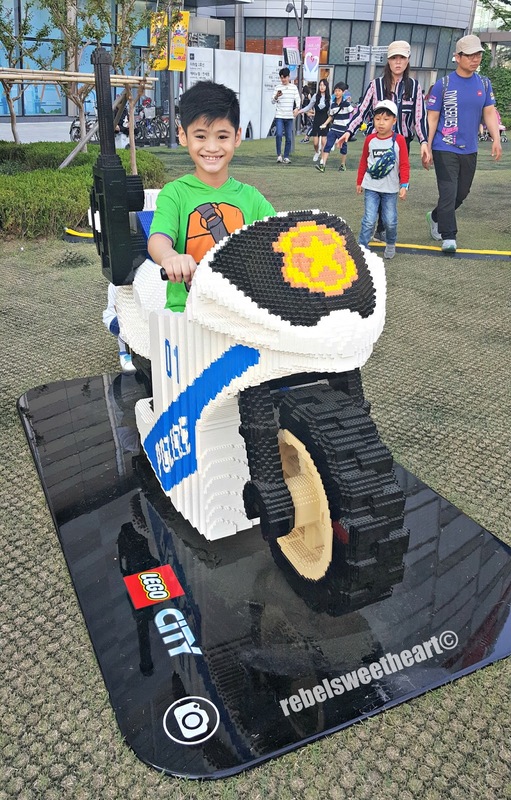 I love the motorcycle built with lego, it's so amazing! 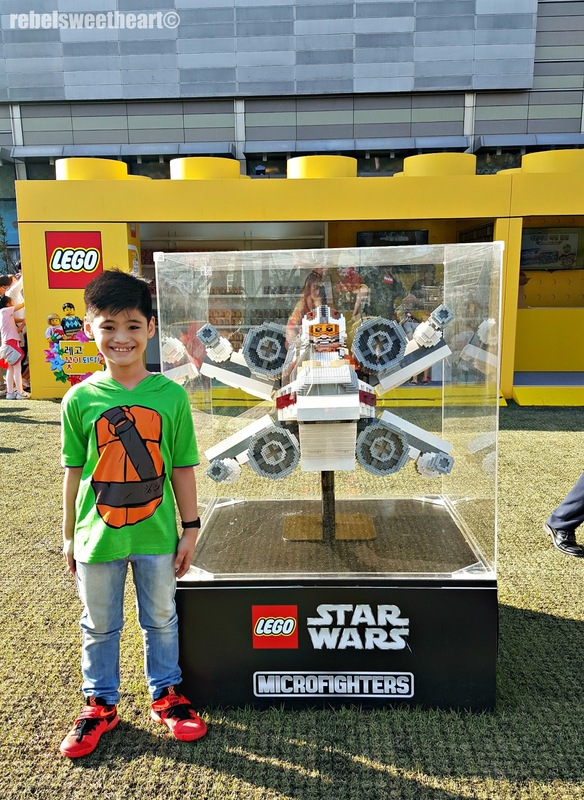 Wow Lego! Definitely, my girls would go crazy mad if they get the chance to se this! This is fantastic! 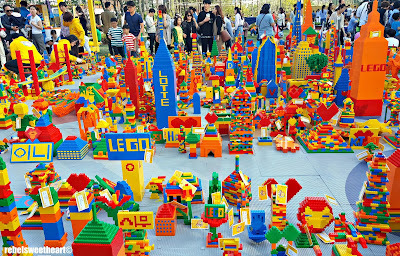 And the LEGOS too :) ah I wish we have this here on Manila. So that our fellow kababayans will enjoy it too. I think that to say that I am envious would be an understatement. I am hoping to save enough so that my son and I can go to different countries every year. I would like for him to grow up with an appreciation for traveling which is something that I did not have. I wonder the US doesn't have Children's Day. We actually celebrate Cinco De Miyo on May 5th. 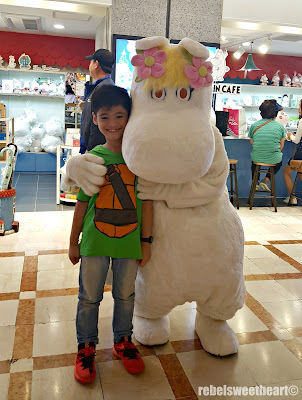 Yue looks like he was having a lot of fun on Children's Day at Lotte World Mall. 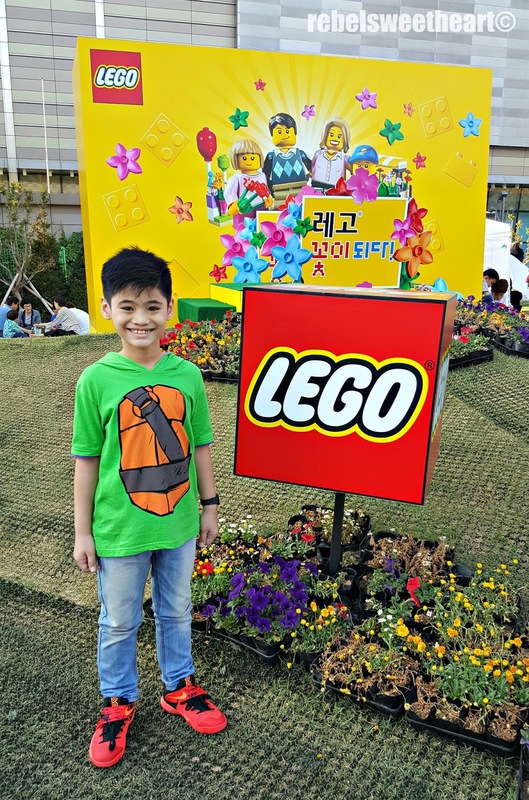 Great reveiw on Lotte world as I always wanted to visit. 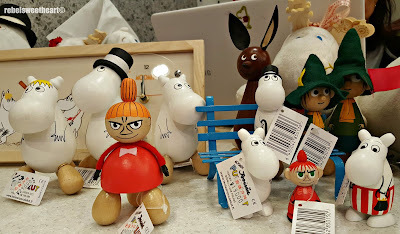 I love how you show Lotte department store, it has all of the characters that I can dream of. 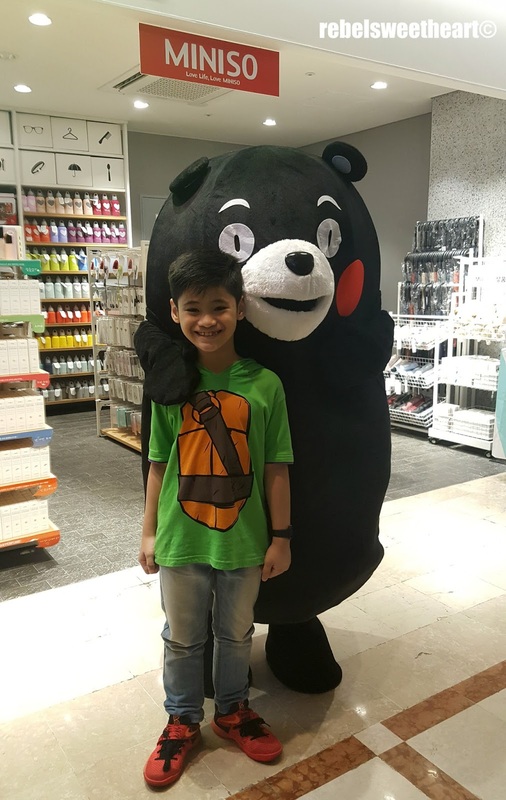 The black bear is the Japanese Kumamon bear also a city mascot from Kumamoto city Japan. I am using that black bear as my pen name for my blog. 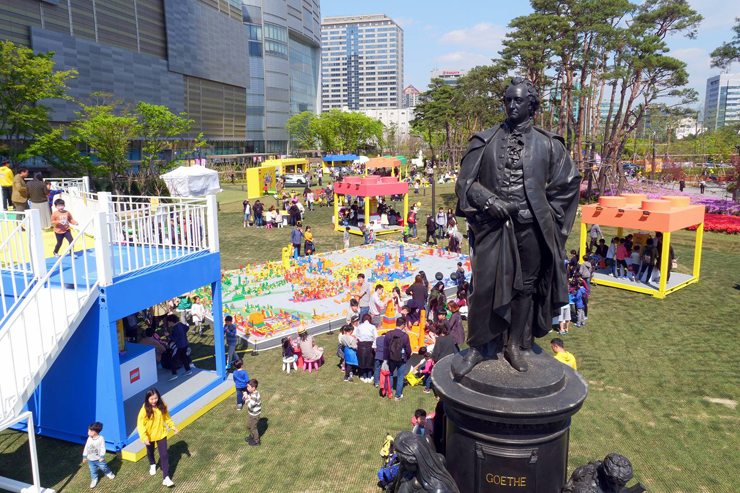 This is my first time to learn more about Children's Day and it is definitely a fun event to celebrate. It's nice that we were able to celebrate a bit of the Children's Day unintentionally since went to grab some stuff from Uniqlo last May 5th. Wow! I never knew about children's day! I think this is such a great concept. 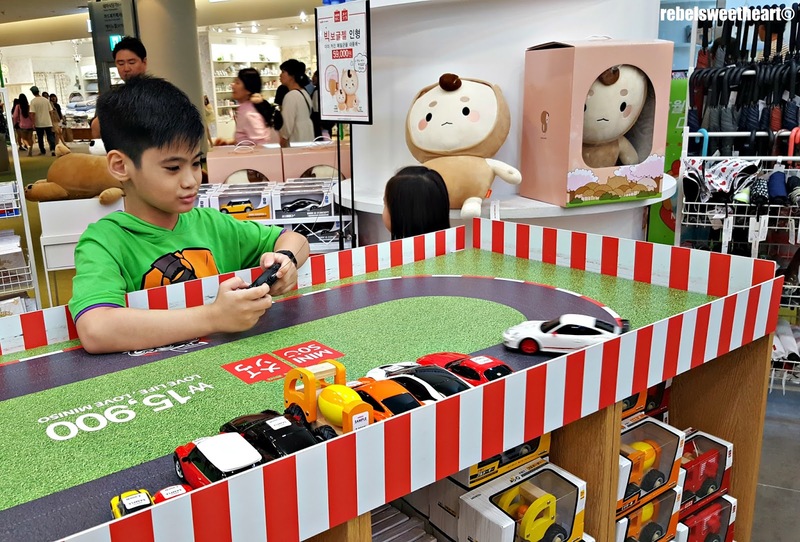 I know parents provide for their children everyday, but this seems like a great way for them to connect and really invest in quality time. Yue looks thrilled with his day/gifts! That children's day sounds amazing! 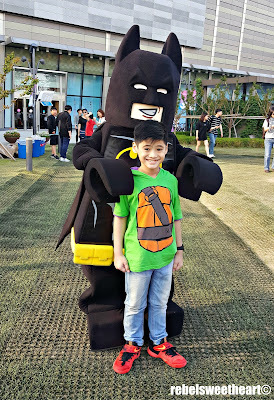 My 5 year old loves Lego, So a lego festival would be a huge hit with him. Wow this looks so fun! my son is a huge Lego fan, he would love to visit. Beautiful post! I've been to Korea twice now and miss it so much. So great to have a blog sharing these experiences in English so I can enjoy it :') Thanks for the share!